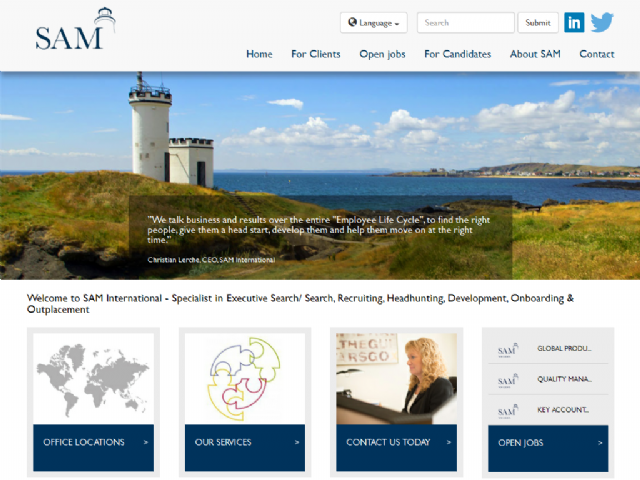 In SAM we are more than 100 consultants working from 16 countries. We work cross border in international assignments and find it essential to set the right team in terms of skills and experience in order match your needs. Our most important job is to understand what you look for when developing your organisation. It is our philosophy that the right person has to match the right job at the right time in order to succeed and improve your business.